Primary care includes the essentials when it comes to maintaining good health. The professional staff at the Center for Women's Health offers comprehensive primary care for you and your family members. Annual checkups uncover potential health problems before they become major issues. This is the goal of primary care. If you live in the Oxford, North Carolina area, the staff at the facility encourage you to visit on a regular basis as part of a healthy lifestyle plan. Annual physical exams are extremely important because they allow your providers to closely monitor your health. They can identify potential problems while in their earliest stages. This allows time to possibly reverse the progression of the condition and provides the opportunity for more treatment options. During an annual physical examination, they will check your vitals and make observations that allow them to see even the smallest changes in your physical condition. This allows the providers to observe chronic conditions and provide treatment opportunities to help maintain or improve your current level of health. Annual exams also provide a continual record of your health over a period of years that allows your healthcare provider to estimate your risk for certain health conditions. What does primary care for women consist of? In addition to monitoring your general health, primary care for women also includes closely monitoring your reproductive health. This includes scheduling pap smears and mammograms when they're needed. Primary care for women who are of childbearing age may include offering the birth control or other types of contraceptive products and procedures. Obstetricians and gynecologists can perform annual physical examinations like any other physician. The only difference is that they include the special tests and procedures that are used to monitor your reproductive system. An OB/GYN is also able to provide additional expertise during pregnancy and after childbirth. This allows you to use the same healthcare provider for all of your healthcare needs. 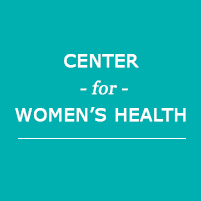 What are common health concerns for women? Many people associate breast cancer as a predominantly female problem when in fact, men may also be at risk of the disease. Healthcare providers that offer OB/GYN services also take great care to identify other potential health risks as well.